Hajj is not far and Muslims are busy to confirm their Hajj Packages. They face many problems before and during Hajj due to overcrowding. Before going to Hajj, they face the issues such as completing documents, Visa, hotels etc. During Hajj, they face the issues such as the danger of spreading the diseases and infections, Hajj rituals etc. 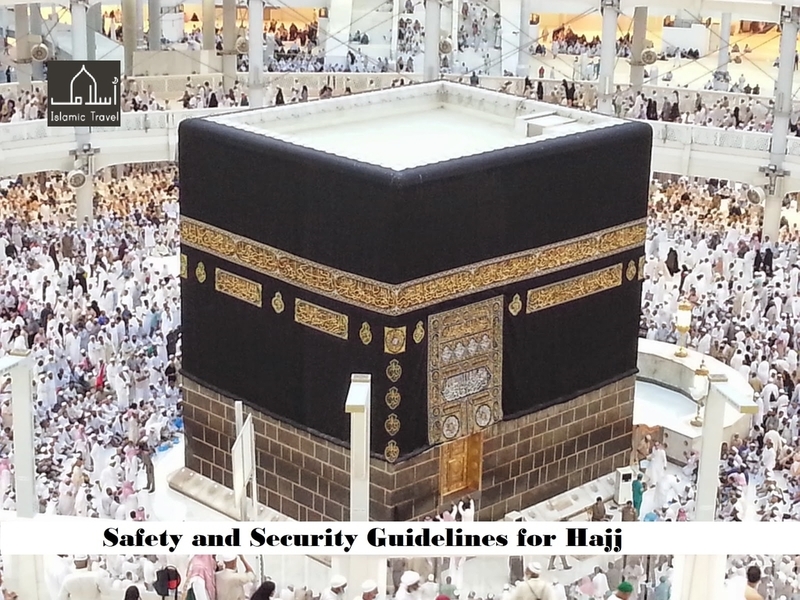 Therefore, safety and security guidelines are necessary for pilgrims before and during Hajj. The travelers should follow some safety and security guidelines that would help them. These guidelines maintain their healthiness and avoid some of the anticipated fitness threats during the Hajj period. Respected pilgrims, the following are the most significant suggestions that you should follow to protect yourself during Hajj. Perform all the rituals easily and soberly during Hajj because Allah sees your Niyyah and never charge a person more than its capacity. Stop irritating other pilgrims during Tawaf e Kaaba, casting pebbles, and Say'ee. Keep yourself neat and clean to avoid severe diseases and infections. If the weather is hot during Tawaf and Say'ee then immediately take an umbrella. Don't use uncovered food and check the date of expiry as well. Use fruits, vegetables, and boiled food which don't effect on your stomach. Use the wristbands and must be written your name, nationality, address, phone number etc. on it. When sneezing and having a common cold then use tissues. Don't tire out yourself in shopping and hoteling during hot weather. When you feel sick then immediately go to nearest healthcare center. Don't hurt yourself and others by pushing in the crowd. Don't climb the mountains and stones. Don't use streets and tunnels for sitting and sleeping. Keep your hotel room clean. Take complete rest after performing rituals. To avoid sun heat and heatstroke take a water bottle along with yourself. Take first aid box along with yourself which contains on painkillers, cough syrup, blood pressure and diabetes pills. Take one small diary along with yourself which must be filled with important phone numbers such as national and international numbers, hospital number, ambulance helpline number, police station number, etc. Finally, all points are mentioned above and I hope you get all these points regarding safety and security guidelines. Before going to sacred journey must consider these safety and security guidelines. May Allah help you. Which Religion Has the Highest Population in the World? adeeliqbal is using Hatena Blog. Would you like to try it too?